Stock images by severija & SeDmi. Font by Kevin & Amanda. Do I have a treat for you guys! Let's go visit Refreshing Designs Jewelry on Etsy! All of these pieces are done by hand in a technique called "Wire Wrapping". I absolutely love love love wire-wrapped jewelry! You can visit Refreshing Designs to make a jewelry purchase! Her prices are great and fit anyone's budget!!! Think birthdays and Christmas, people. Never too early to start Christmas shopping! 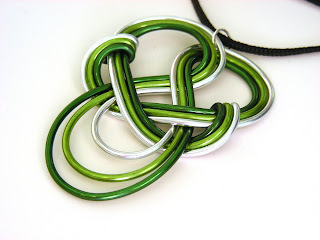 Heidi is giving one winner a Celtic Knot Hope Necklace (last picture posted above)! Go to Refreshing Designs and tell me one other item you LOVE LOVE LOVE! Each entry = one comment. Do not put them all into one comment! Comments that do not comply by the rules WILL be deleted! email provided on your profile. Thank you! Winner will be chosen at random using the Random Number Generator. Winner will have 48 hours to respond to email. Contest ends March 7, 2010. Thank you to Heidi for offering an item for the giveaway!!! Wow, the Moon necklace was the very first thing my eyes saw on her page---it's fabulous! The Celtic Wave earrings are so pretty too. I like the some WIRE over the rainbow necklace. I fanned Refreshing Desings on Facebook. 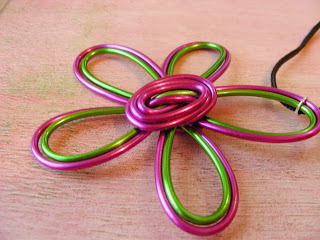 I love the double daisy wire necklace. Gorgeous! Became a fan of Refreshing Designs. New Moon Necklace is very cute. I love the BLEEDING HEART Elven Bracelet Cuff in black, or maybe silver, or maybe both, one for night and one for day? I like the New - MOON - necklace with scrolly Gothic wire work. Liked the swired rose rings so much that I had to purchase one. I love the BLEEDING HEART Elven Bracelet Cuff. I LOVE the Regal Butterfly Necklace! absolutely beautiful!! i am a fan on of refreshing desings on facebook, Daeron Mel. I am you friend on facebook. Love the new moon necklace with the swirled wire. Wow! I love her regal butterfly necklace! wow, i'm stunned by this talent! as a wire artist of many years, this stuff is really divine! i love Some Wire over the Rainbow necklace - stunning!!! Follow your blog on Google friend! Have your button on right sidebar!!! 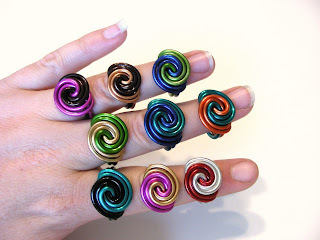 Have your GREEN GIRLY GOODIES button on right sidebar!!! I love, love, love the Breezy Wings - Wire Work and Pearl Necklace!!!! really like the moon necklace with gothic wire work. I like the daisy day flower earrings! I am a facebook fan of Refreshing Designs. I love the CORALINE Button Key Necklace! Beautiful! I know you said to list one item, but I love the Celtic Wave Braided Earrings & the matching Custom Braided Wave Wire Bracelet. Content by Girly Girl Giveaways. Powered by Blogger.